As Houston has recently reinvigorated efforts to support a tech innovation startup community, the idea of a concentrated "innovation district" has been raised to create a critical mass to concentrate Houston's dispersed initiatives. The Chronicle article mentions EaDo, Montrose, and the Rice Village, all of which I think are bad ideas. My own inclination was Midtown at first, but the more I thought about it, the more Downtown makes the most sense, specifically concentrated around the Main Street Square to Preston rail stops. There are several reasons. The first and most important reason is that Houston needs to concentrate the startup activities from entrepreneurs all over the metro area. Because of the tremendous amount of commuter bus service concentrated there (including Metro's central transit center), downtown is the obvious choice. An Exxon employee out near The Woodlands that quits his job and wants to work on a startup merely has to hop on an express bus downtown to join the community - no transfers required (or a quick transfer to the rail line). Even if they don't ride the bus, all our freeways point there too - and that works both ways as well: it will be easy for entrepreneurs downtown to go visit customer and partner companies all over the city. Additionally, Rice, UH, and med center students and faculty to easily get there on rail lines. In fact, I think they need to cut a deal with METRO for an affordable monthly rail pass for any members of Station Houston or other incubators there. Recent college grads love living in Midtown, which would have a short rail ride up to the offices. Tons of walkable bars and restaurants for entrepreneurs to mix and mingle in. Several parks within walking distance. Short ride to TX/RX Labs for product design and prototype manufacturing. The more you think about it, the more sense it makes. I hope they're taking a serious look at it. 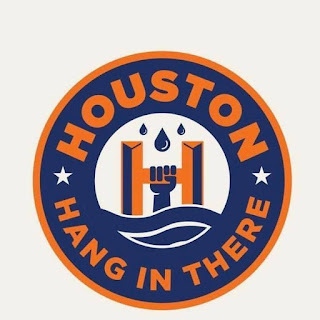 Additionally, this might be a good time to mention my other "big idea" for supporting innovation in Houston: give all the big company employees around the city (especially the energy companies) an option to invest up to a tiny percentage of their 401k funds in local venture capital (a Houston-focused "special situations" fund). Even if capped at 1-5% of their portfolio, that could still put tens or hundreds of millions of dollars into local VC, which would be a huge shot in the arm for Houston's startup scene. Finally, it's worth stressing how critical this endeavor is to Houston's future. Nobody knows how the energy future is going to play out - especially when it comes to electric cars or renewables - or how it will affect the oil industry, but no matter what, Houston will have to adapt, and having a strong innovation scene will make that much, much easier and more likely to keep Houston thriving instead of going the way of other rust belt cities. UPDATE 4/12/18: They picked Midtown around the Sears (land owned by Rice). Certainly a better redevelopment opportunity than downtown.